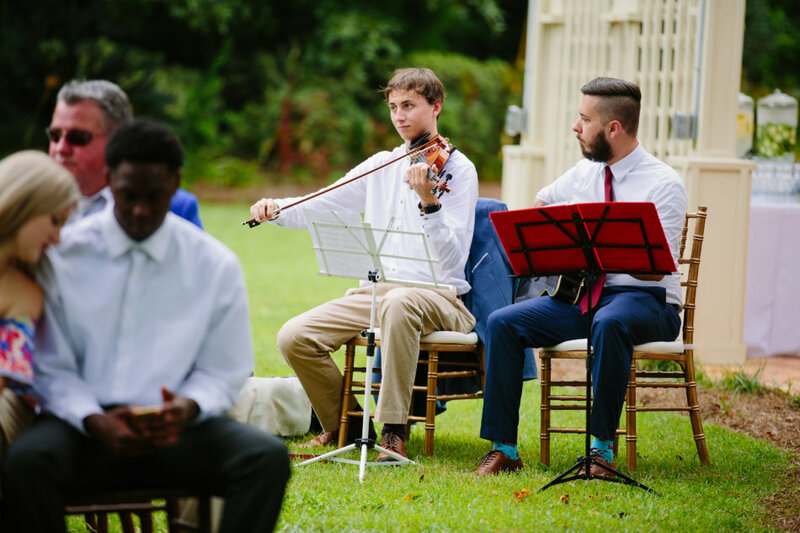 "We had a violinist play during our ceremony through Amplify and she was phenomenal, and she added the perfect touch to our wedding. 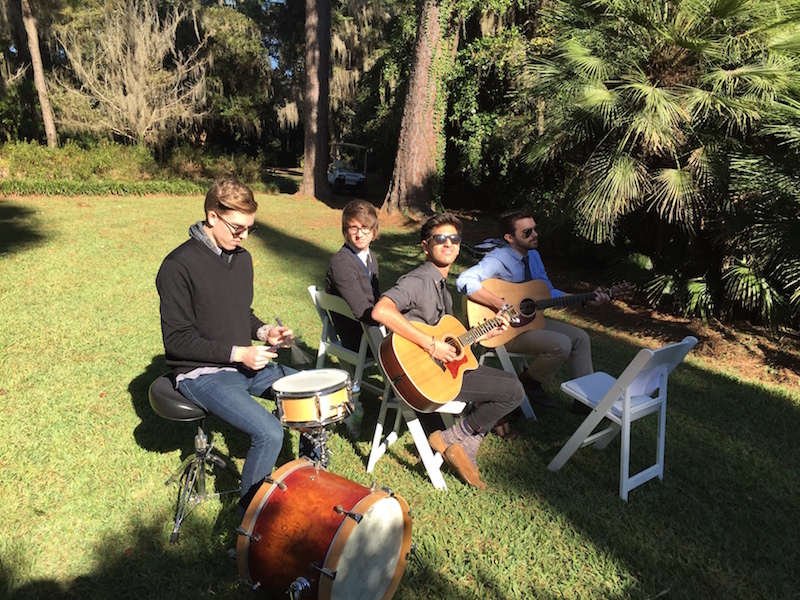 Thank you Amplify for making our wedding so perfect!" 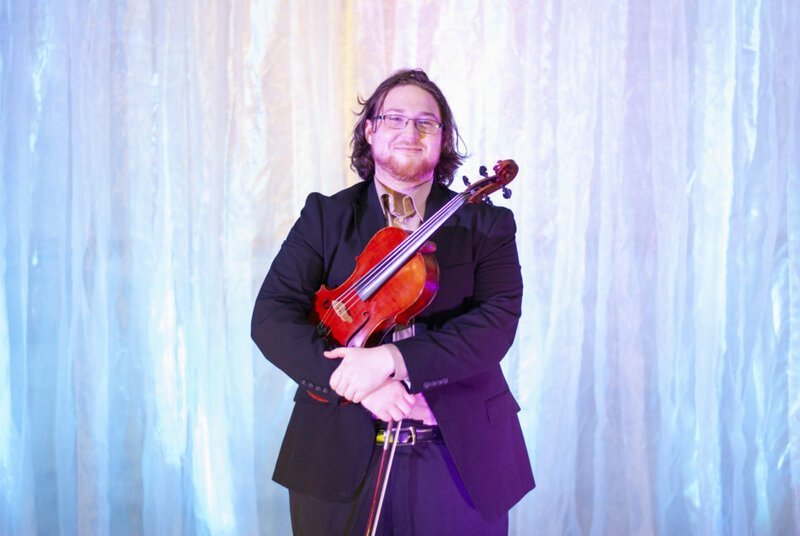 "We added on the live violinist and guitarist for our ceremony through Amplify and we are so glad we did. 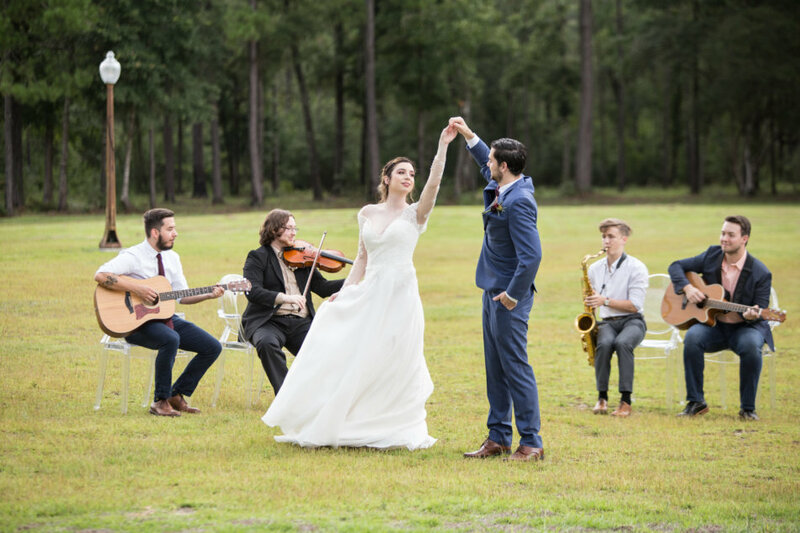 The violinist and guitarist were able to play the modern/pop songs I picked out for the processional and it was so special!" 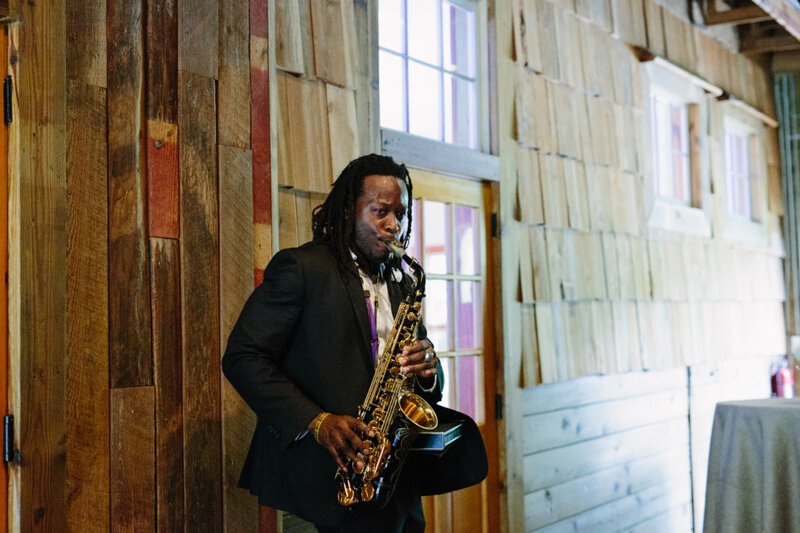 "THANK YOU AGAIN for being SO awesome to work with - you and your saxophonist totally nailed our wedding day and we will be forever grateful for that!" "Working with Nate was very easy. I am in my early 50's and had a small wedding (80 people), so the ceremony and reception were fairly low key. 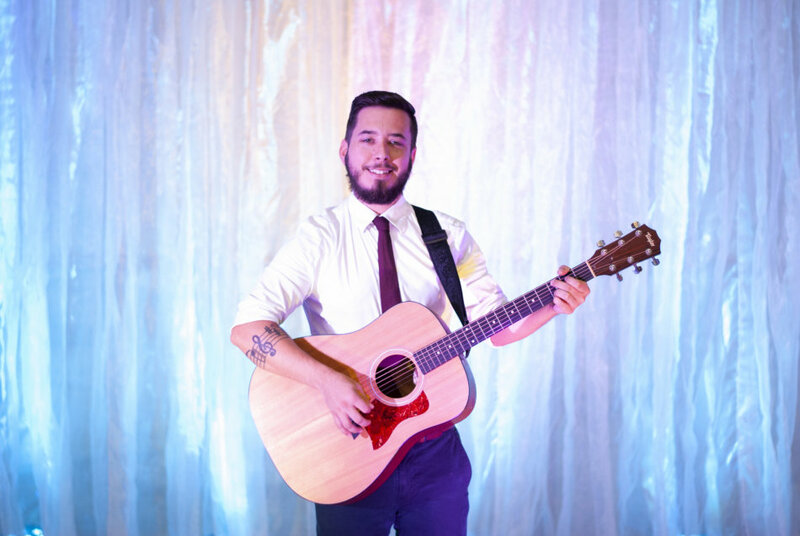 For our lakeside ceremony, we requested a violinist; for the reception, we requested an acoustic guitarist. Both were great! 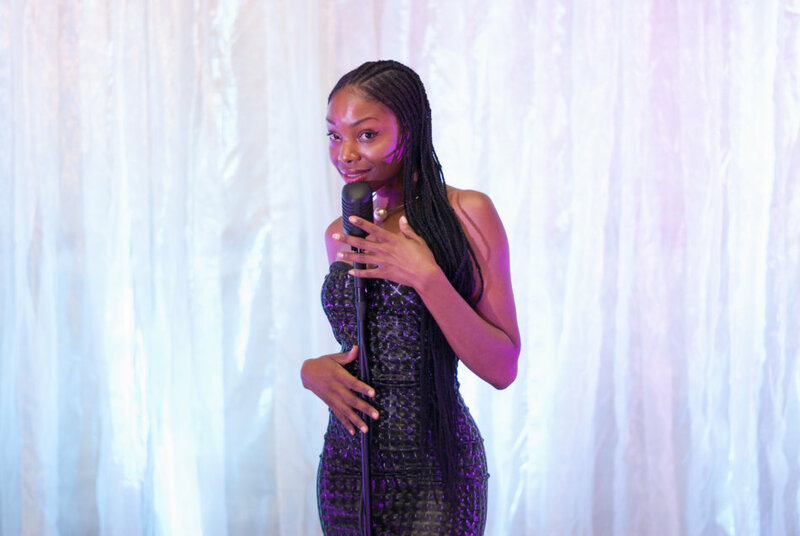 I highly recommend Amplify Entertainment!" "I hired Michael based on a video that was sent to me from Amplify Entertainment. It was impressive, and wow, did I luck out! Michael is the epitome of a talented professional. 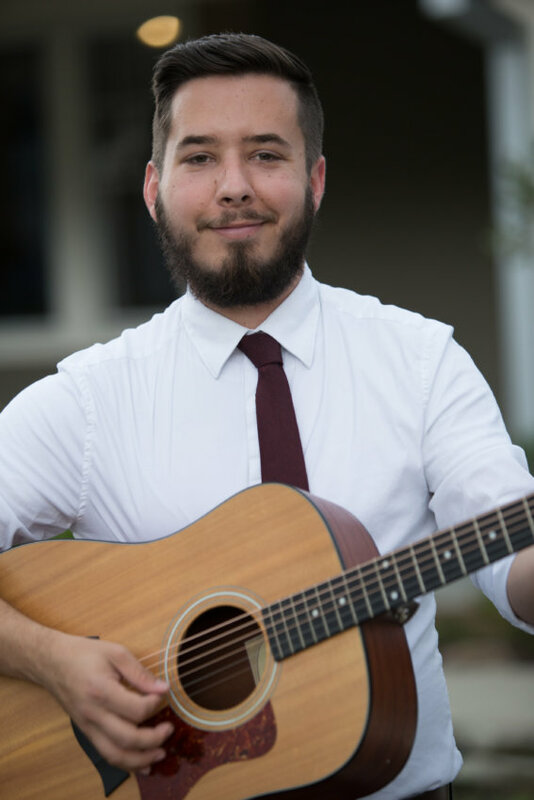 He contacted me in advance for my needs, took his own time to check out the venue, and was there hours early to set up his lighting and sound. 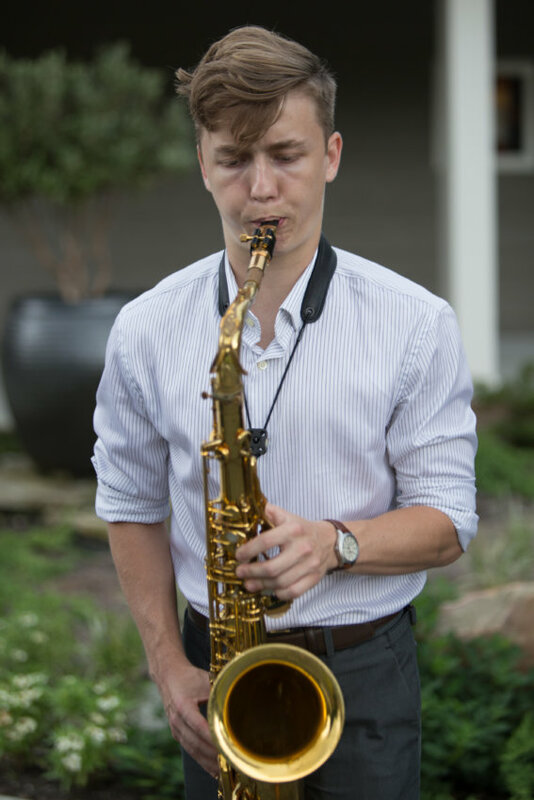 Once the client event started, people were mesmerized by not only his talent, but his personality and the way he engaged the group. 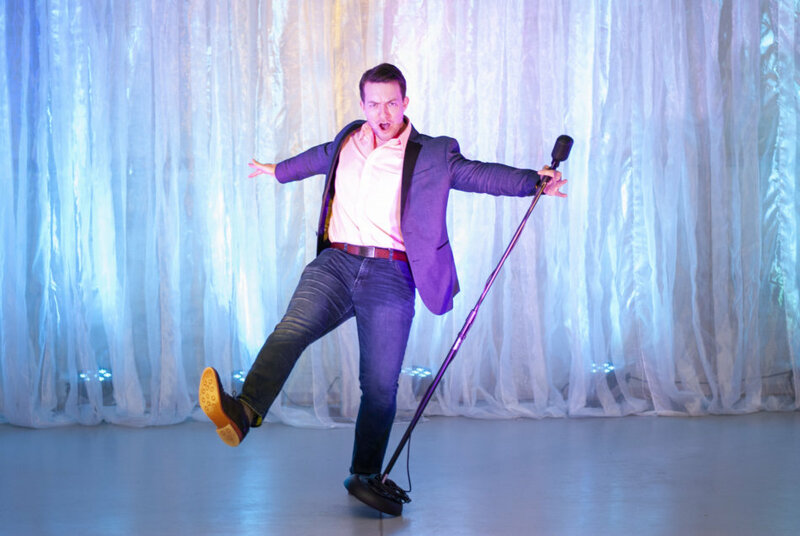 Hiring talent for a corporate event is never easy, however, I would highly recommend Michael for corporate, and any type of event. He will be first on my mind for upcoming events." 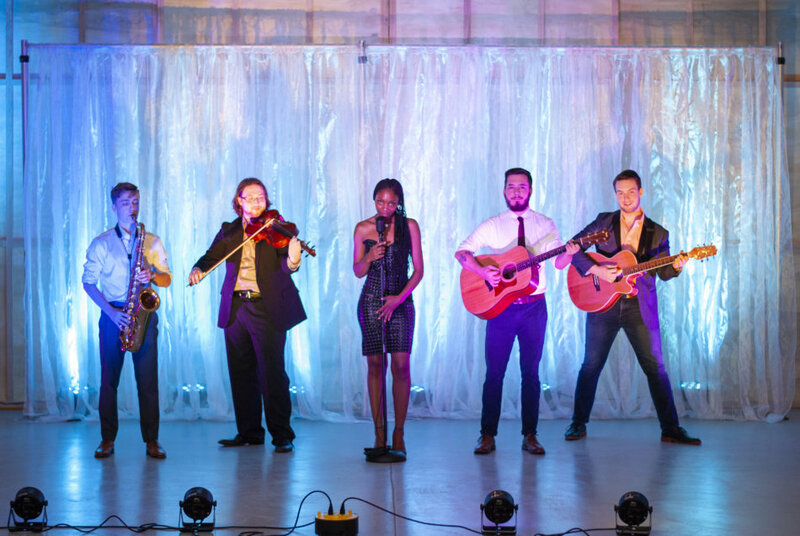 "The company also has their own musicians along with sound equipment! 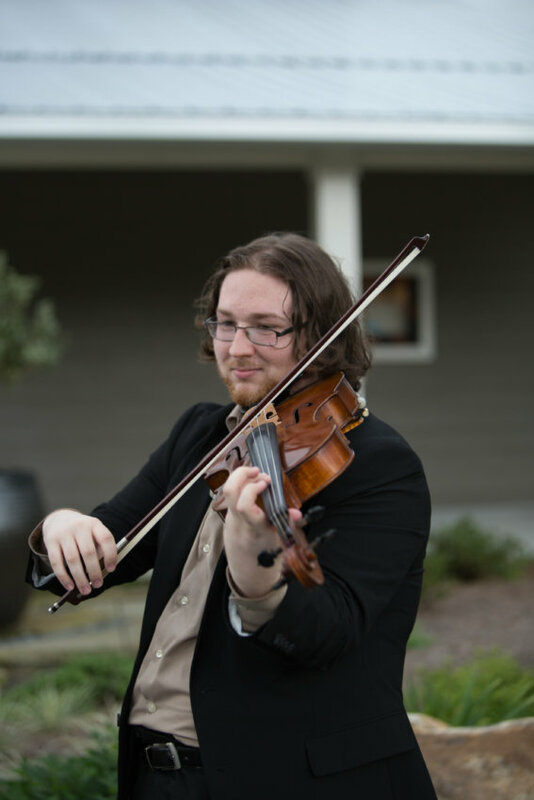 We reserved a violinist for the ceremony and a guitarist for the cocktail hour. Both were a huge hit! 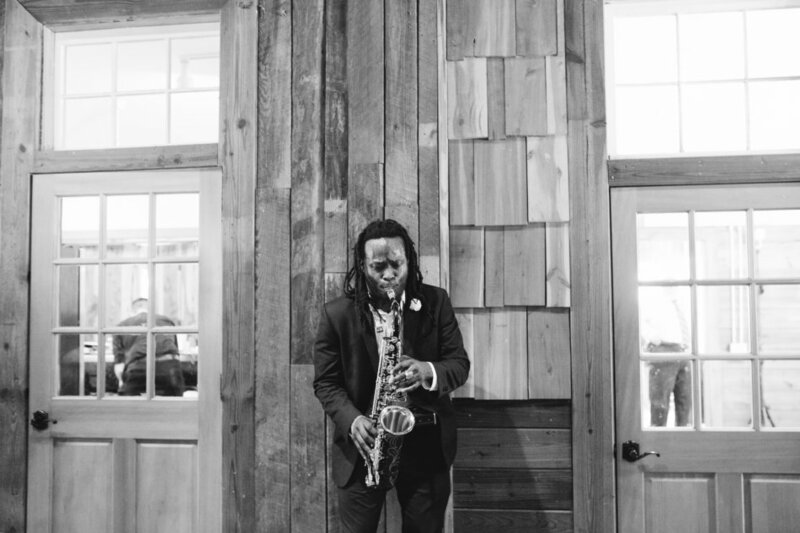 Our guests were constantly commenting on how great the musicians were." 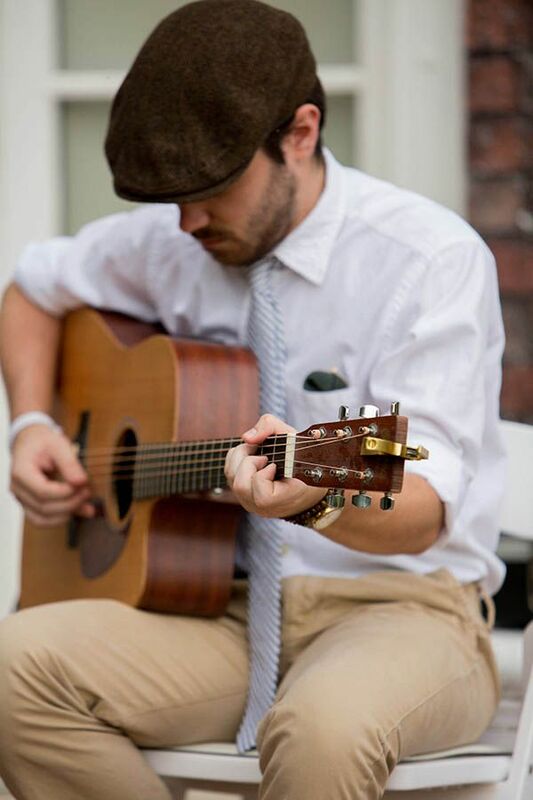 "I had multiple comments from my guests about the guitarist, cocktail band and DJ!" 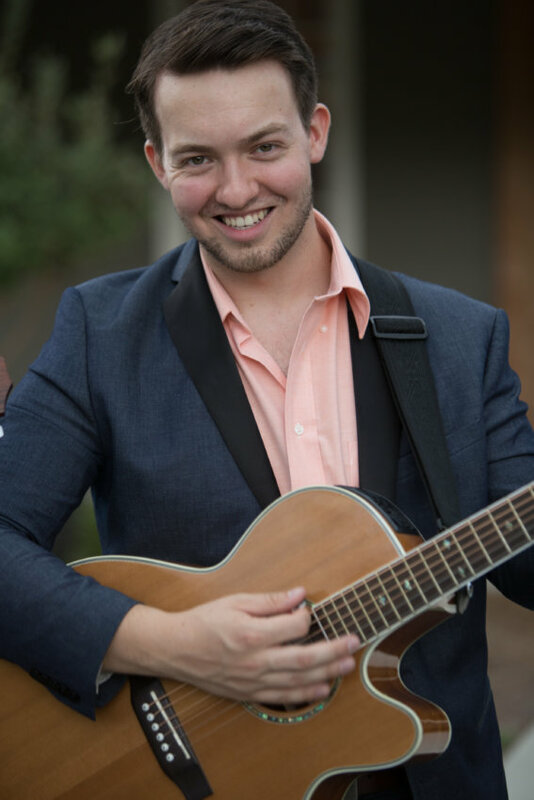 "For the guitarist, we were able to list out specific song details in a timeline that he called me a few weeks prior to review together!" Can’t choose between a DJ and live music? 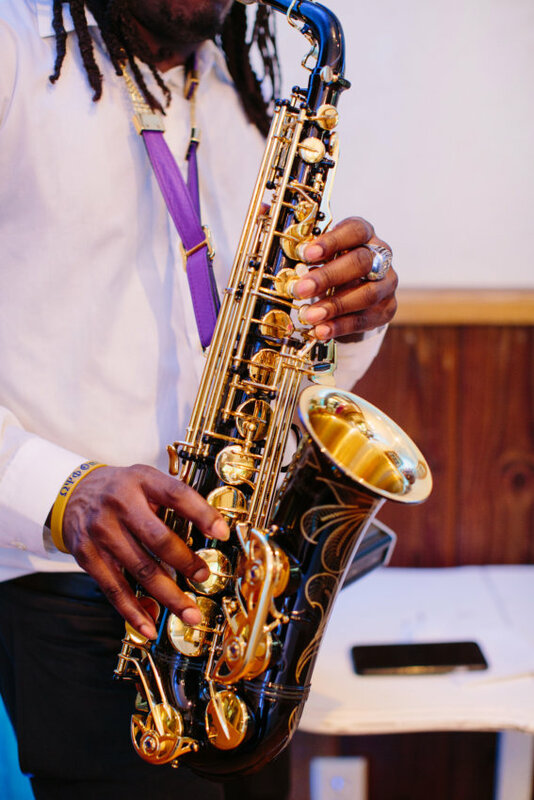 Both have their strong pros: Booking a live musician or band provides a certain ambience and adds to the elegance and high-end feel of an event, but song selection is typically limited by number of songs (around 200 for the best bands) and by the style of music they best match. 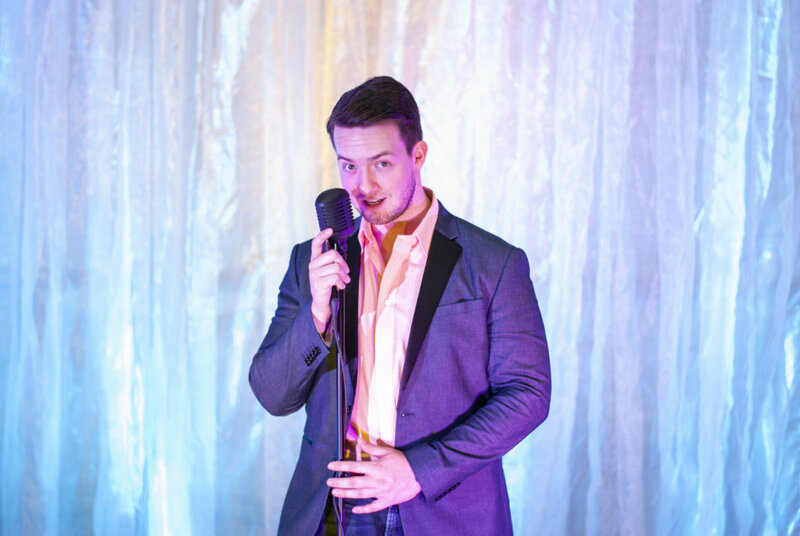 A DJ, in our case, also acts as an MC (or Master of Ceremonies) and is therefore better equipped to handle your reception. Our DJs also have a song selection of millions, not hundreds, spanning all genres of music from pop and rock to jazz and hip hop to Latin and bluegrass. The song selection is practically limitless, which is especially a benefit for weddings that plan to have a lot of dancing. 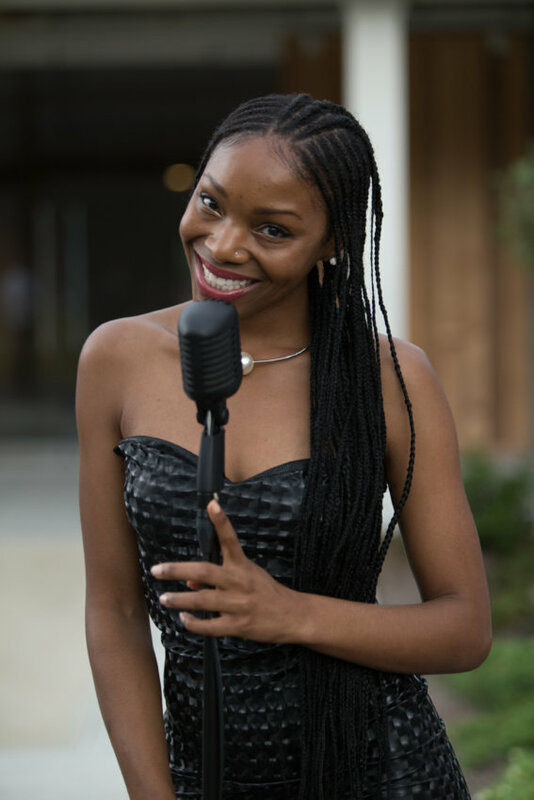 Booking both a DJ and one or more live musicians can be a hassle that involves different companies and coordination headaches. Booking both can also be very expensive. Amplify Entertainment changes all that by offering DJs and live musicians through one company and one process. You’ll get the best of both worlds and have a single point of contact for ALL things music and emcee, resulting in a more seamless, higher quality (yet also less expensive) experience. 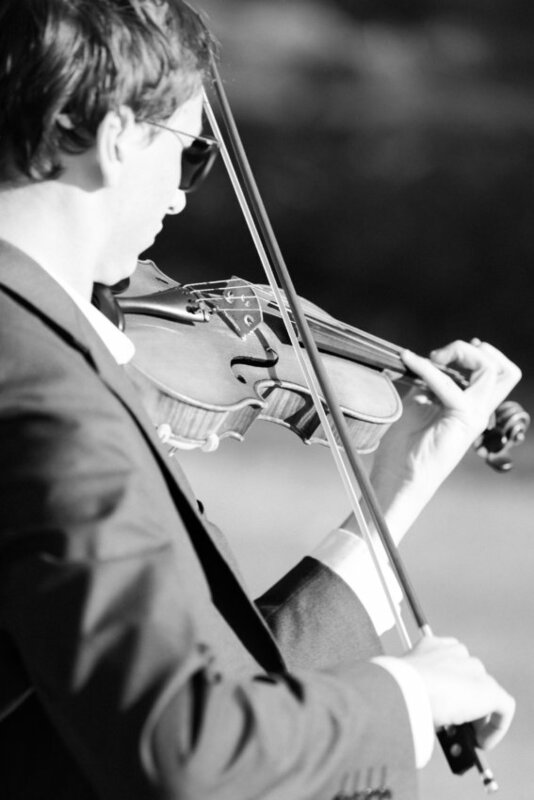 Many of our clients will book a string trio or a violinist and guitarist duo, for example, for their ceremony, and then book a jazz trio, guitarist or cocktail band for their cocktail hour. Then the DJ’s music takes over from there. 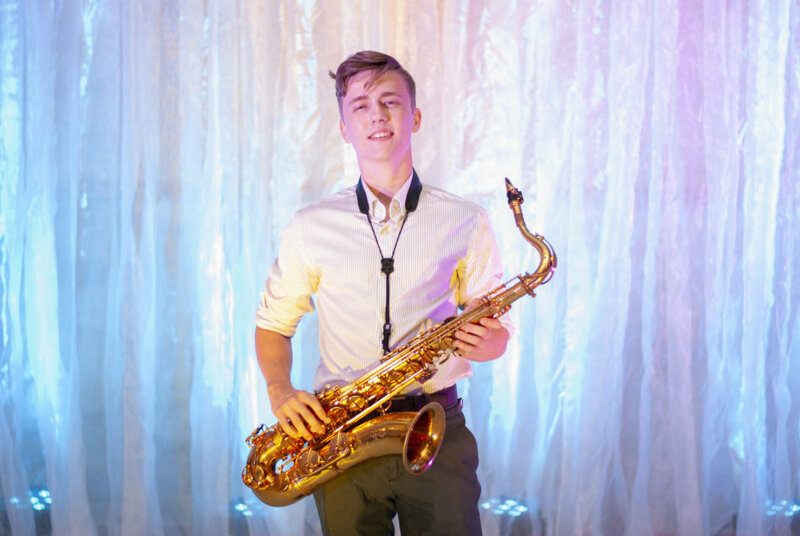 The best part is that the DJ is also there during the time the live musicians are so that they are getting their proper queues, speaker systems are managed as needed (including any wireless mics for the ceremony) and everything is run from one reliable company. 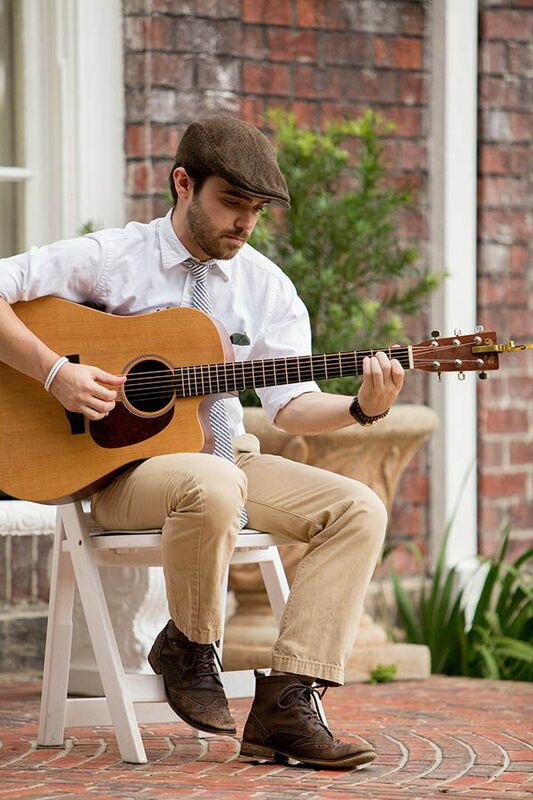 ALL of your music needs — both DJ and live music — can be met seamlessly through Amplify Entertainment! Let’s rock! Okay, let’s add this to my wedding!